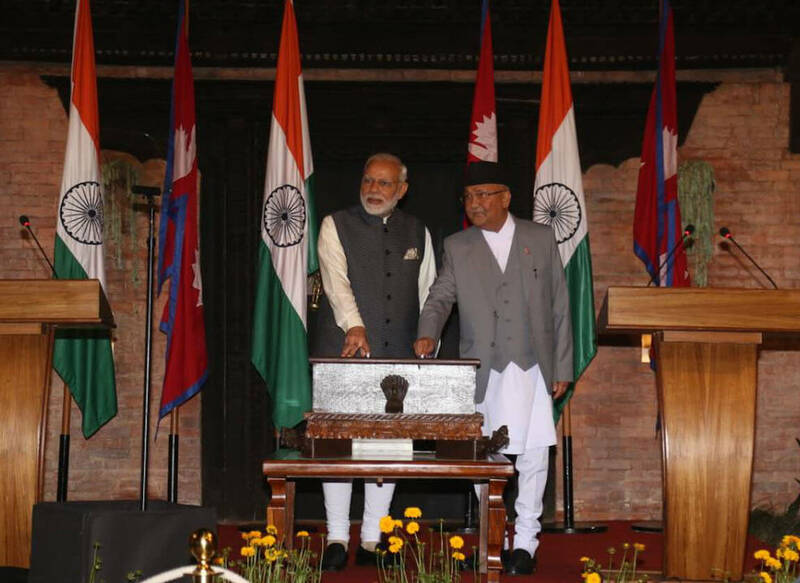 PM KP Oli and his visiting Indian counterpart Narendra Modi remotely ​pressed a button in Kathmandu to lay the foundation of ​the Arun III ​ hydropower project in Num 200km away in eastern Nepal. The 900 MW ​run-of-the-river scheme is being built by ​the Indian ​public sector firm, Satluj Jal Vidyut Nigam. 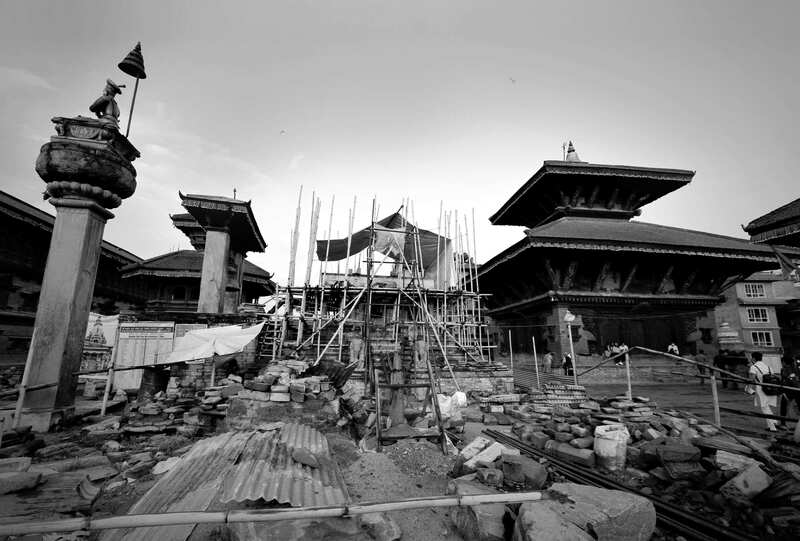 After a meeting of high-level delegations of Nepal and India late Friday night at Dwarkia’s Hotel, the two PMs jointly switched on the project, the contract of which was awarded to Sutl​u​j a decade ago. At the same conference, Oli thanked Modi for his initiative in pushing forward agreements on a gamut of development projects like Birganj-Raxaul railway, inland waterway, agriculture and trade. Modi expressed a commitment to help realise Oli’s vision to turn a landlocked Nepal into a water-linked country. He also said that the Kathmandu-Raxaul rail survey would begin soon, and India’s Agriculture Minister will visit Nepal to discuss collaboration on agriculture. ​​He also pledged to provide a state-of-the art radio therapy machine at Bhaktapur Cancer Hospital. Earlier, Modi was accorded a guard of honour at Tundikhel amidst protests against India’s five-month blockade on Nepal two years ago. Nepalis on social media asked Modi to apologise for what they say was a crime against humanity — a plea ignored by the Indian PM. Modi also announced a financial assistance of Rs 100 crore for development of the city​, where his presence was widely appreciated​. Modi flew in to Janakpur straight from Delhi earlier Friday. 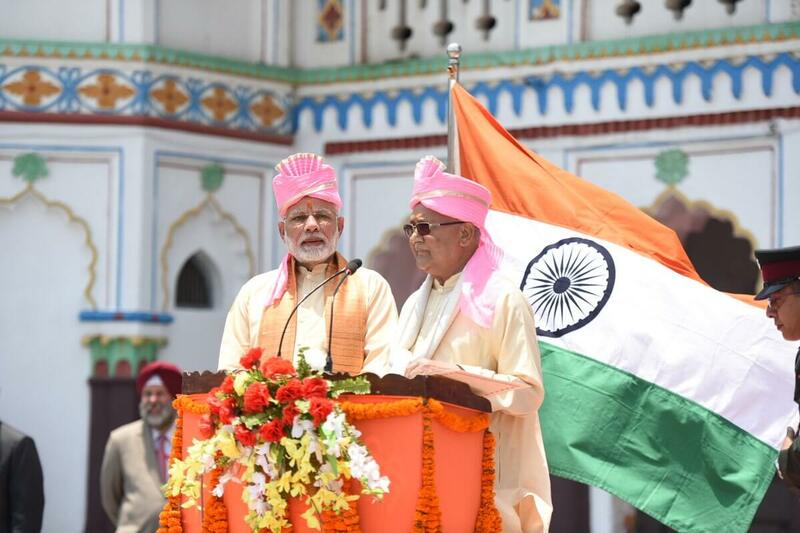 After offering prayers at ​the Janaki ​Ttemple, he and Oli also flagged off a Janakpur-Ayodhya bus service​ linking the birthplaces of Sita and Ram.​ Modi will fly to Mustang ​early ​on Saturday morning to offer prayers at Muktinath, and he will wrap up his visit after some political meeting ​in Kathmandu ​on Saturday itself. This is the third time that Modi has visited Nepal since becoming India’s PM. However, unlike his previous two ​trips, this ​one angered a section of Nepalis affected by the Indian blockade at a time when ​the country was struggling to overcome ​the impact of the earthquake. Many even switched off lights for 10 minutes in a symbolic protest against India when Modi and Oli were in a closed-door meeting on Friday. Police also arrested some students staging a sit-in at Tribhuvan University, asking Modi to say sorry to Nepalis for inflicting misery on them in 2015-2016.